Here's the US link to that. Cool, you can get them for $25 plus shipping! I seldom have any "finds" worth posting, but I think I've got a good one this week. 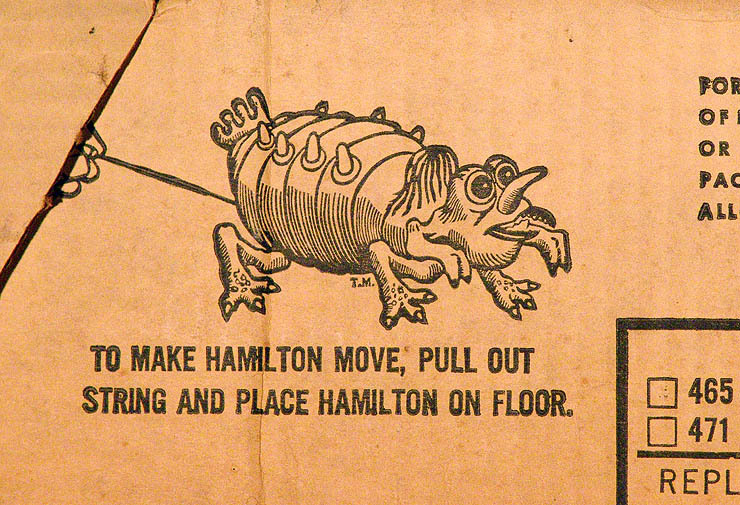 Did anyone see that ebay listing for a boxed Hamilton's Invaders "Horrible Hamilton" set? 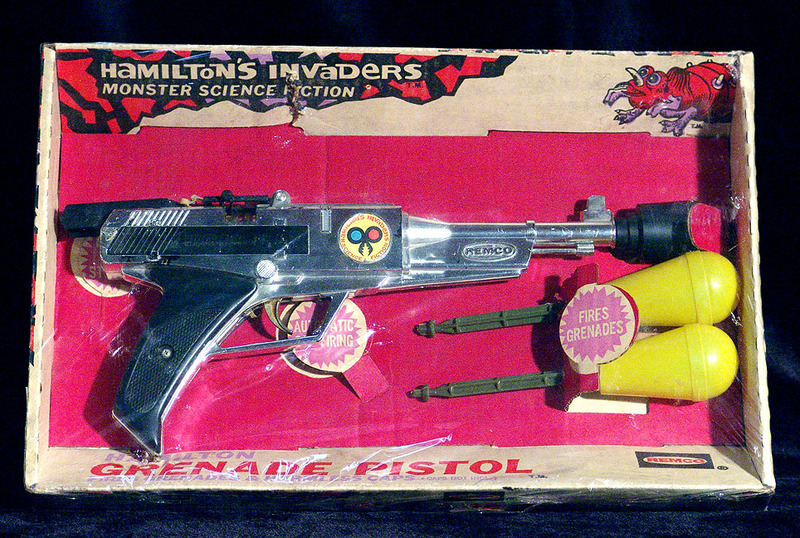 It also included a boxed Hamilton's Invaders Grenade Pistol, carded Matt Mason Callisto alien, and a Colorforms Colossus Rex with his original mace and a damaged card. 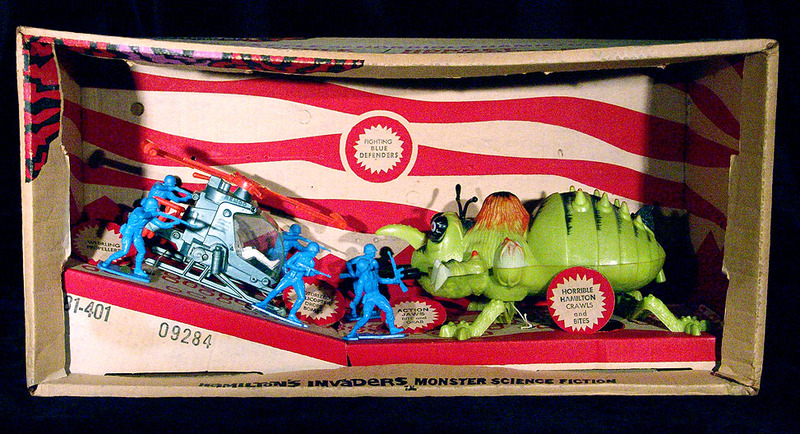 A pretty sweet lot of 60s sci-fi toys. Ebay pulled the auction at the last second. I e-mailed the seller to find out why. She said the high bidder was a known fake. She asked me if I wanted to buy the lot, and we made an off-ebay transaction. 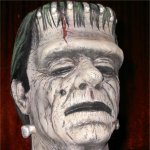 I don't want to quote the price, but it was LESS than I paid for the Tomland Mummy a few months ago. The card is really nice. 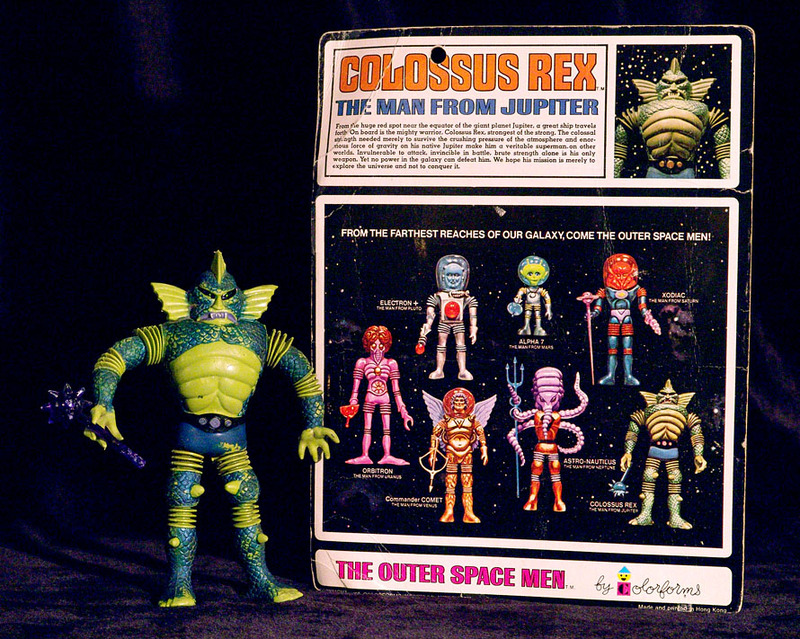 I've always wanted this guy. It feels like he has a broken wire in his right shoulder, but otherwise he's tight. 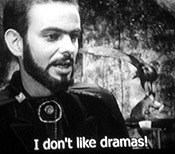 Oh well. It's still cool just to have the card. The shrink wrap looks vintage, but it has tape around the sides, so I'm not sure. I'm not messing with it. This is a pretty cool piece. I imagine a ray gun collector would appreciate it even more. Now here is the main attraction. 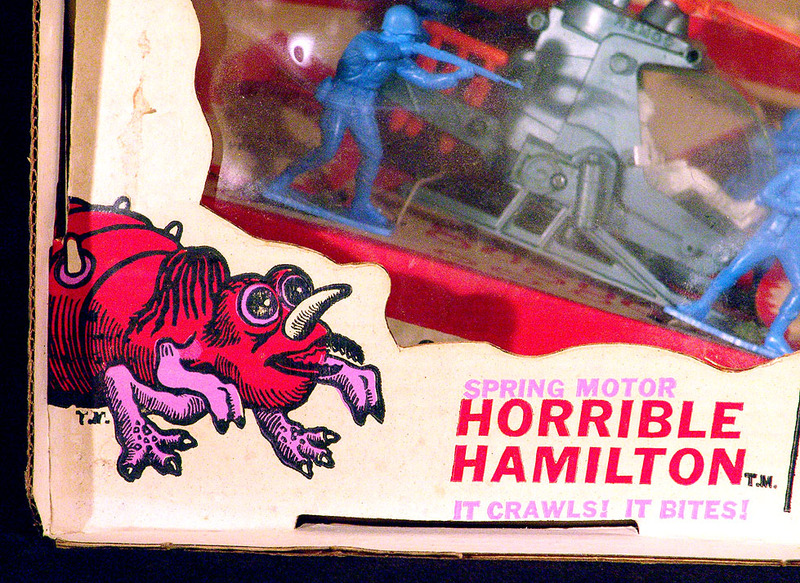 I've long been fascinated by the Hamilton's Invaders toys. They are so neat, but so odd and obscure. I've wanted to add some to my collection, but they only turn up loose and broken, and even then they are expensive. Well, now I've got one. 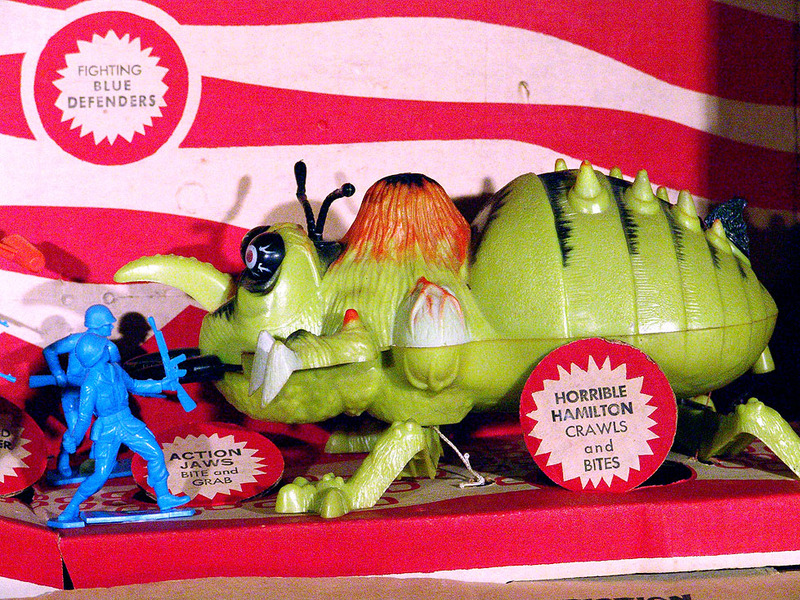 The bug appears to be in perfect condition. One of the soldiers has a broken base, but he can be replaced. 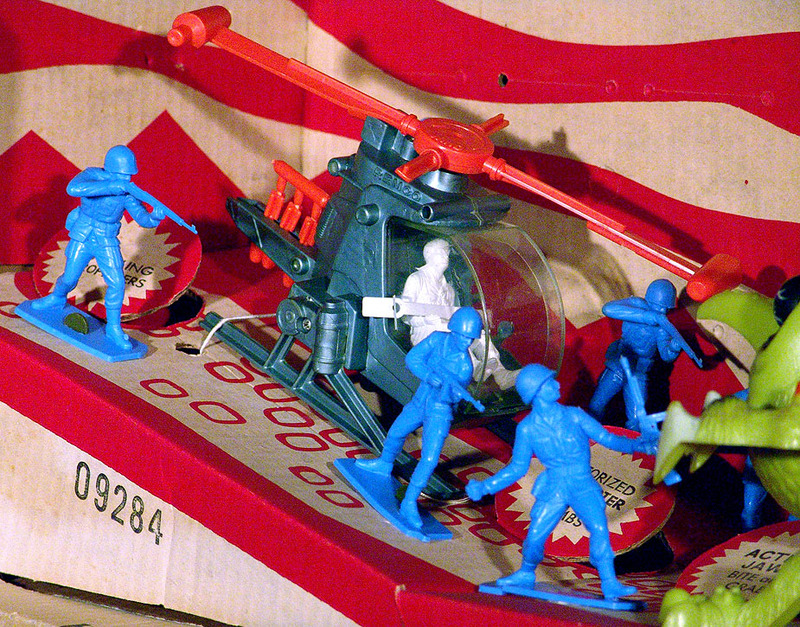 Those soldiers turn up loose on ebay all the time. The wind-up helicopter doesn't work. It has a broken gear inside. I thought I could take it apart and fix it, but the helicopter body is glued together. Oh well. It still looks great. I might be going into overkill with the photos here, but it is so rare to see good, clear pics of this toy online. If someone googles Horrible Hamilton and finds this page, they will get their money's worth! I certainly think I got my money's worth buying this toy lot. Damn, nice deal there Raymond. A steal!!! Way to go! WOW Ray ! You hit the jackpot there ! 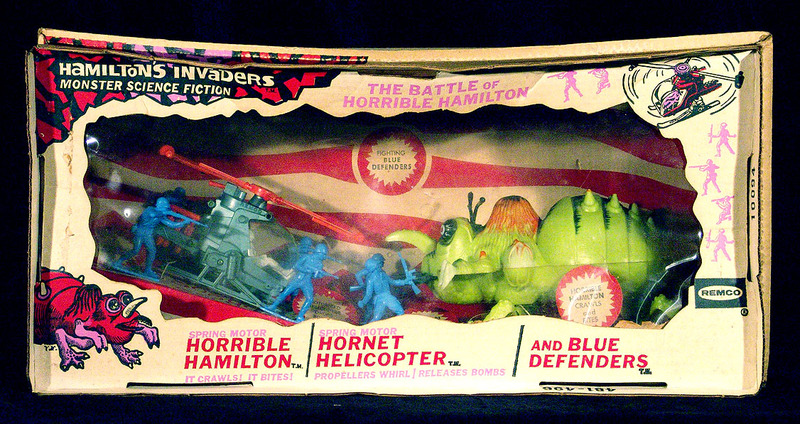 I had Hamilton's Invaders as a kid and one day I hoping to own them again for a reasonable price. If you paid less then a $1000 for these you got a real deal ! Thanks, Bobby. Just nabbed them! Hopefully shipping won't be too crazy. OH, my! 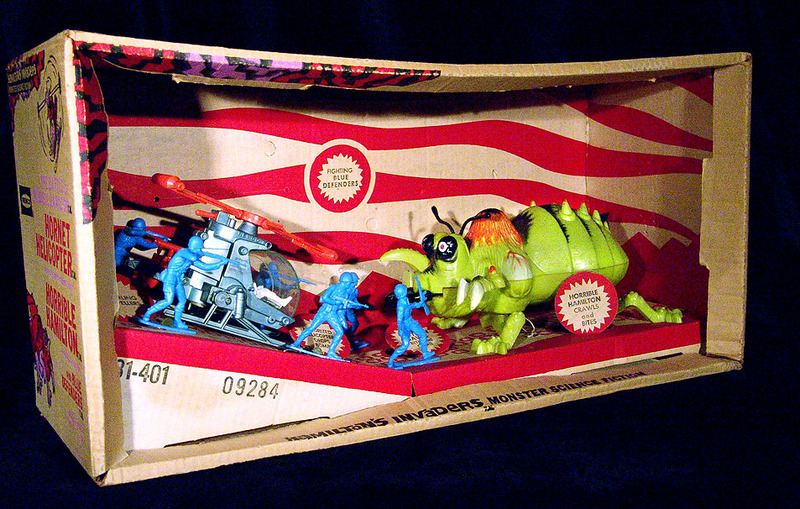 Ray scores with the 60's space toys. Congrats! Impressive, most impressive! 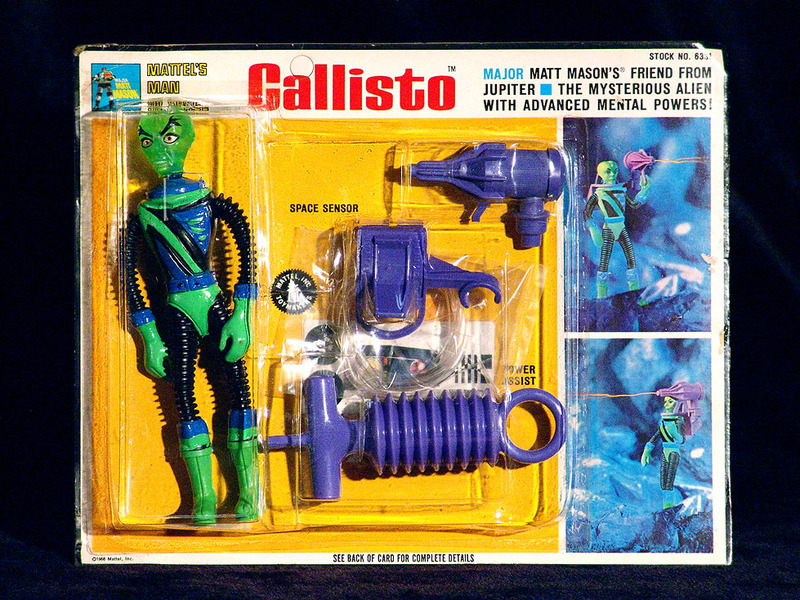 I covet that Callisto. Man, that's some great stuff! 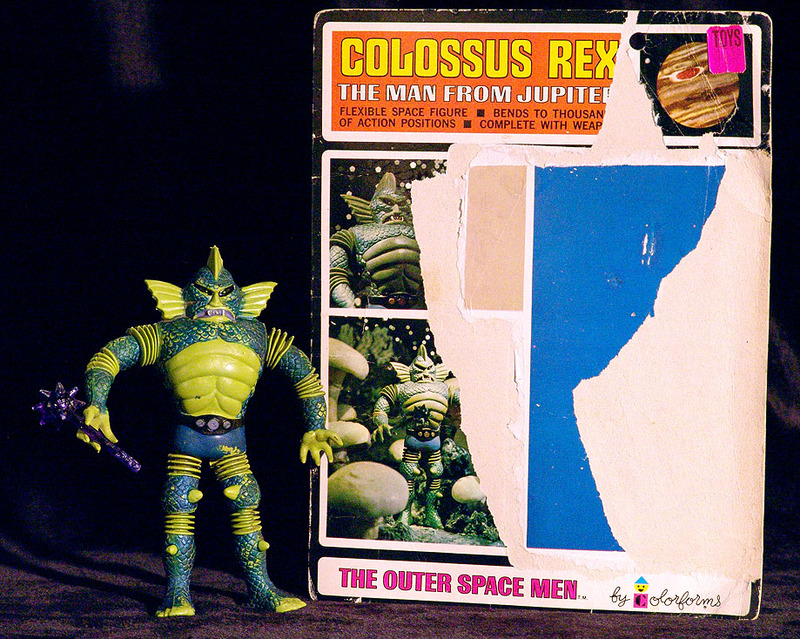 I always loved the 60's aliens (Colorforms, Matt Mason, and the Hamilton Invaders). I also have fond memories of Zeroids but that's a post for another forum, I suppose. I have a weekly find of sorts (I didn't get it this week but had meant to post it earlier). 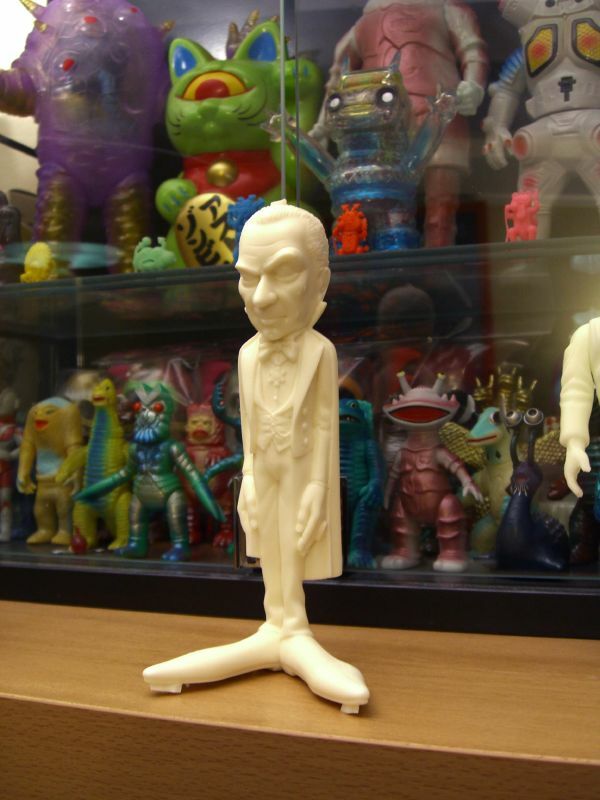 I got a Monster Shop Dracula from a friend of mine in Japan. 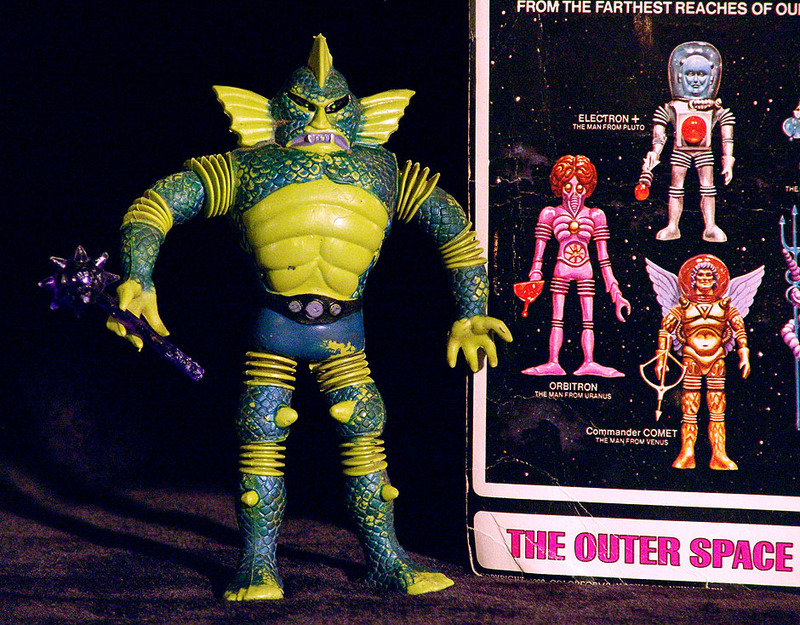 I'm hoping to get more Monster Shop figures but I think they're pretty tough to find. Hopefully my friend in Japan will be able to find more (but I'm not holding my breath). 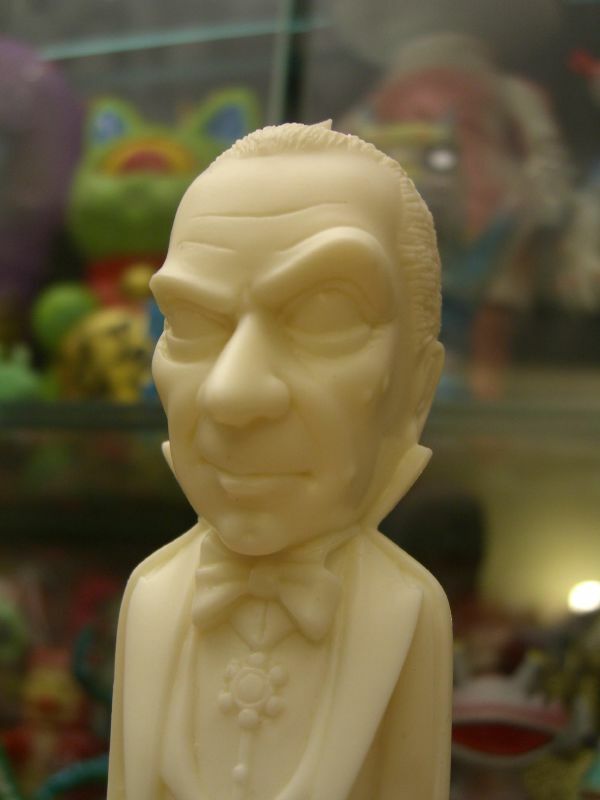 That's a cool looking Dracula. Is it resin? Holy Cow, that is a GREAT bunch of stuff. 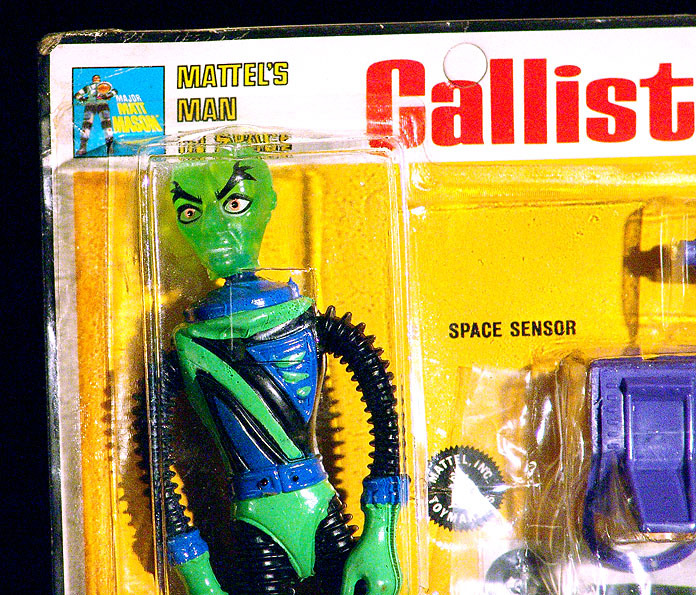 If i ever come to visit, can we take the CALLISTO out of the pack so that I can chew on his head!?!?!?!? Come on, we ALL chewed on Callisto's head, didn't we? I think I chewed his boots and licked his head. 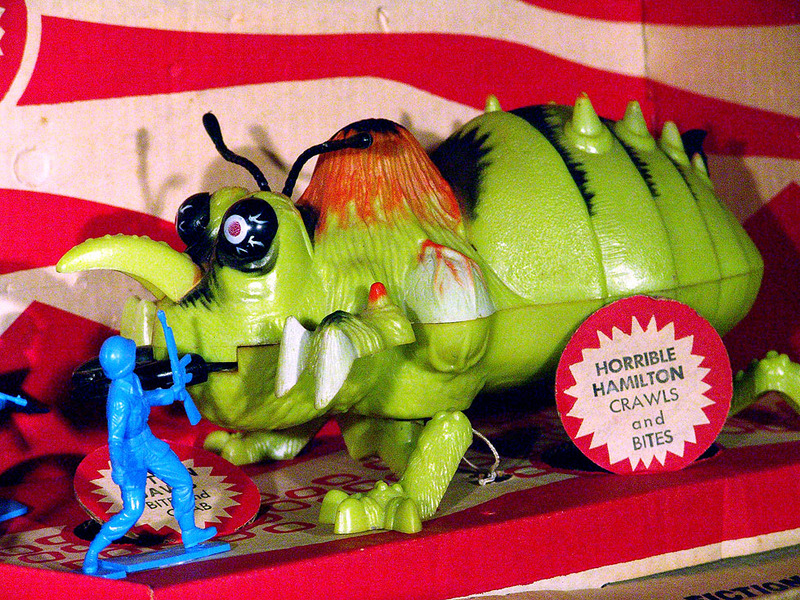 I chewed on Astro Nautilus' head. It made for a great teething toy. 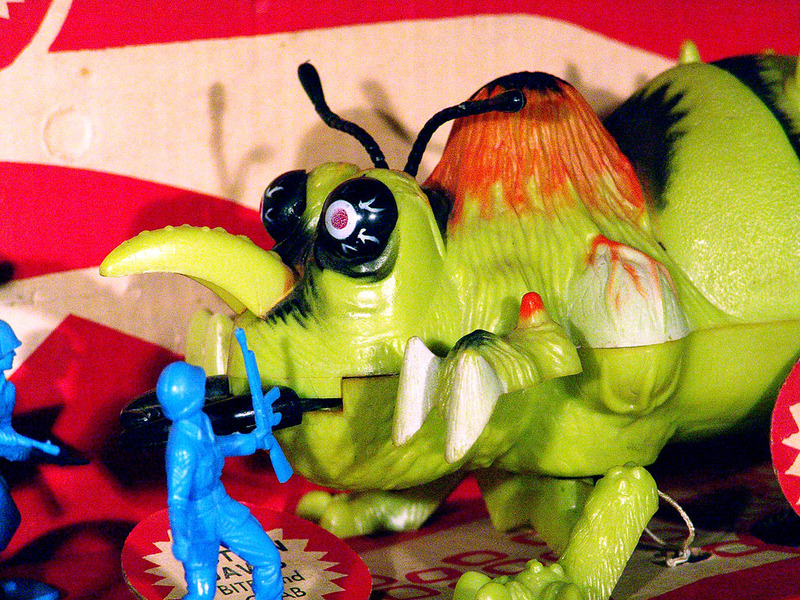 I think I also chewed on Alpha 7's head.